For 16 years I struggled with an eating disorder. I was raised in an unstable home and did not understand God’s love for me. I became depressed, promiscuous and isolated. I lived life my way until I hit the bottom and found about Mercy Ministries through an eating disorder clinic. 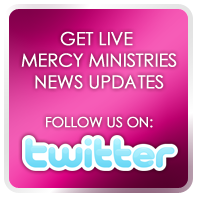 At Mercy, God has completely redefined Himself to me and in the process, redefined me. I’ve come to understand that my poor choices did not make me a bad person. I have learned that there is nothing I can do to make God love me any more and nothing I can do to make Him love me any less! I plan to stay in St. Louis after graduation and go back to school to study fitness and nutrition. I would like to teach others about healthy living. I will also get connected with my local church and change the world! Congratulations Kristen! We are so proud of you!